Mirik is a small and lesser known hill station of India located in the West Bengal State. This beautiful hill resort is situated around the picturesque Sumendu Lake at an elevation of 1767 meters above sea level. It is a peaceful and tranquil hill resort known for its serene and scenic natural ambiances scattered in the form of dense green pine forests, gushing mountain streams, orchards of orange and cardamom, rolling green tea plantations and flower garden. Scores of tourists from several parts of the world come here to enjoy their holiday amidst serene and scenic natural ambiances. 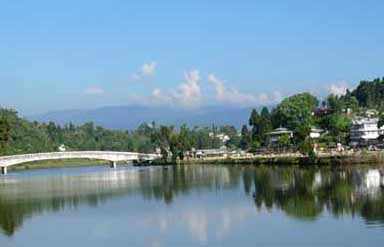 The main tourist attraction in Mirik is the Sumendu Lake. It is a massive man-made lake surrounded by 1.25 km. long and a 3.5 km road. Tourists cannot swim in it but it is popular for boating because wastewater from Mirik falls in this lake. At the backdrop of the lake, one can get an idyllic view of Mt. Kanchenjunga and farms of Oak, Chestnut and Maple. A few kilometers away from this lake is Bokar Gompa which home of Mahayana monks. Scores of tourists come here to worship and gain religious blessings. Further to the west of the lake are a temple of Shiva, Hanuman and Kali Mata which is visited by in large number of devotes everyday. Deosi Dara is a vintage point in Mirik which gives spectacular view of the plains, hills and peaks in and around Mirik. This soul stimulating sight of nature summons scores of tourists to this place. Similarly Rameetay Dara is an ideal place for watching sunset and sunrise besides the mountains and plains. While Kawlay Dara offers breathtakingly beautiful views of Mirik and its surroundings. Mirik Bazaar, Shopping Center and Pasupati Market are the most popular shopping places in Mirik. Tourists come here to shop antiques and souvenir items. It is also the best place to purchase fresh tea and oranges which are famous things of this place. 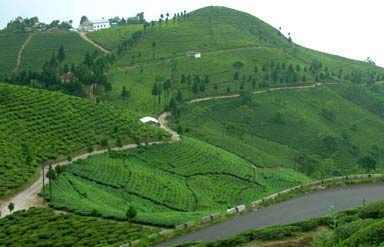 Mirik can be visited round the year because of pleasant climate and temperature fluctuates between 13 and 30 degree Celsius. By Air: The airport nearest to Mirik is in Bagdogra at a distance of 55 km. This airport is connected with all the domestic flights. By Road: The excellent road network links Mirik with other important places like Bagdogra, Siliguri, Kurseong and Darjeeling. And these places are well-connected via road with all the major cities of India. By Rail: The nearest railway junction from Mirik is New Jalpiaguri located 60 km away from the hill resort. And this railway station is connected with all the major cities of India. During Mirik tour tourists can stay at many hotels, tourist Lodge, tourist hostel and tourist cottages. But Swiss Cottages called motels is an excellent accommodation choices during Mirik visit. 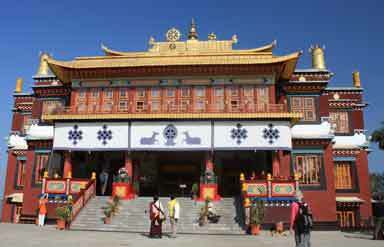 Caper Travel India offers wide range of North East India Tour Packages. For more details send us query.